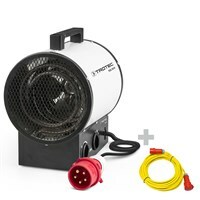 Package deal of teh TDS 10 M Ceramic Heater (max. 2kw) and an extension cable. 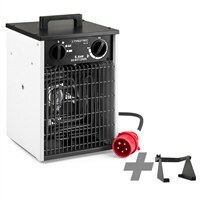 Package deal consisting of the TDS 20 R (max. 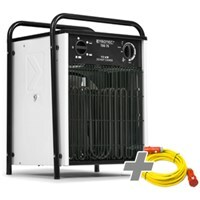 3 kW) and a professional extension cable. 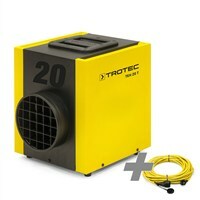 Package deal consisting of the TDS 50 R (max. 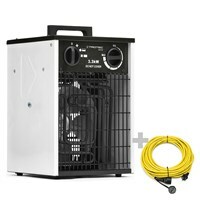 9 kW) and a professional extension cable. 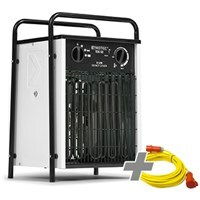 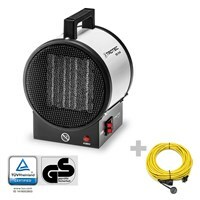 Package deal comprimises a TDS 75 electric heater (max. 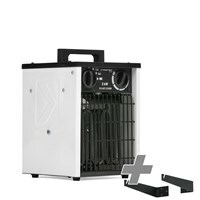 15 kW) and a bracket. 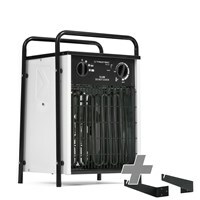 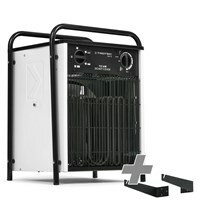 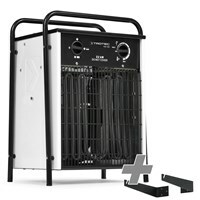 The TEH 20 T electric heater with a heating capacity of 2.5 kW / 2,150 kcal. 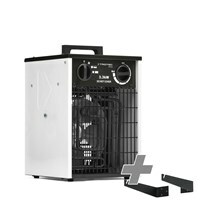 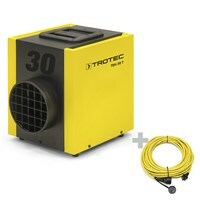 Package deal comprises the TEH 30 T electric heater with 3.3 kW and a professional extension cable. 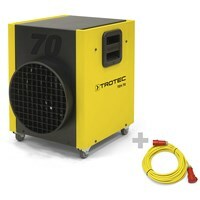 Package deal comprises the TEH 70 electric heater with 12 kW and a professional extension cable. 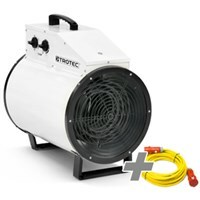 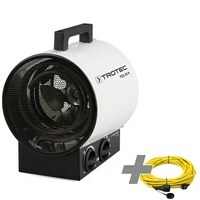 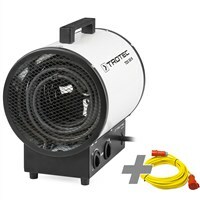 In our online shop you will find cheap packages of electric heaters by the Trotec brand.